My PhD investigates the florisitc diversity of Morocco using inventory, computer modelling and informatics approaches. 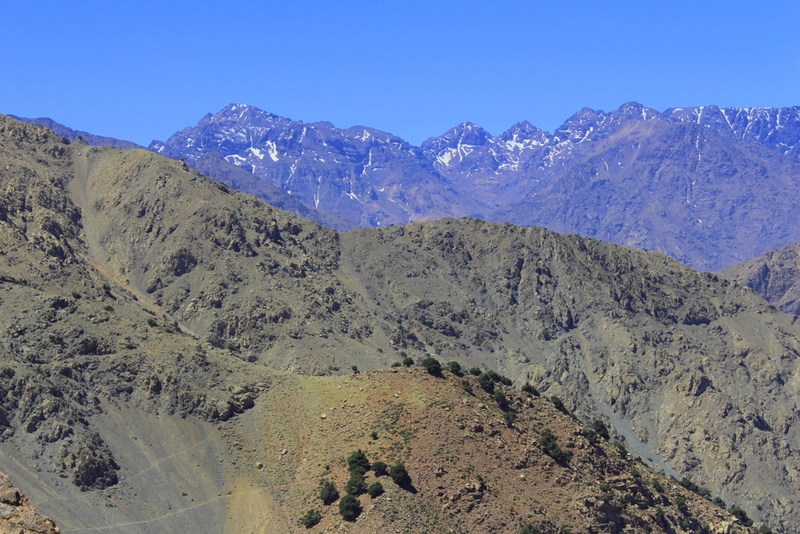 My PhD project focus is on updating the endemic flora according to the new classification APG III, conservation assessments and Red listing of endemics in the important plant areas of Morocco and hotspots especially the Atlas mountains. In addition, the research explores the effect of climate change in the endemic flora and ecosystems and the changes in IUCN categories and criteria by time. The flora of Morocco is one of the most diverse in the Mediterranean region and the richest in North Africa with about 4200 taxa including 1282 subspecies, contained in 920 genera and 130 families (Rankou et al., 2013). This high plant diversity is explained by the geographical position of Morocco, its varied topography, geology, ecoregions and climate. In prehistory Morocco was a pathway for flora and fauna spreading to and from the Macaronesian Islands especially the Canary Islands, and, more importantly, Morocco formed a land bridge between Europe and Africa. Morocco is situated at a floristic crossroads due to two lengthy (c. 2800 km) sea coasts along the Atlantic Ocean and the Mediterranean Sea. This has resulted in a high habitat diversity and diverse ecoregions caused by a variety of Mediterranean-type climates along the coast, and from the Sahara in the south to the moist oceanic climate of the north. 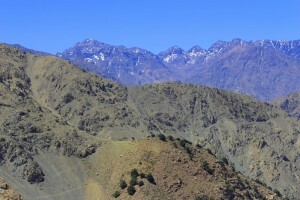 As a result, Morocco contain one of the largest hotspot regions in the Mediterranean basin which covers four areas importantly the High Atlas (HA), Middle Atlas (MA), Anti Atlas (AA) and Rif (R) mountains and a high percentage of endemic species, 22%, which places Morocco in an important position among other Mediterranean countries. The main threats to the Moroccan hotspots and their endemic plants are water stress (exacerbated by drought), overgrazing, climate change, deforestation, habitat fragmentation and isolation. In addition to the agriculture uses of the habitats, human interferences, tourism and urbanization are also major threats. However, not much is done in terms of plants conservation in the Moroccan hotspots and not much is done in term of habitat protection and the raising of public awareness about the importance of the areas significant biodiversity. Therefore, conservation efforts are necessary in both the Mediteranean and Saharan ecoregions to preserve the biodiversity and botanical richness of Morocco. The first chapter of my thesis; floristic studies of the Moroccan flora is now published as the February 2013 issue of Phytotaxa Journal. Abstract: Morocco is characterized by high vascular plant diversity with an estimated 4200 species and subspecies of which 22% are endemic. 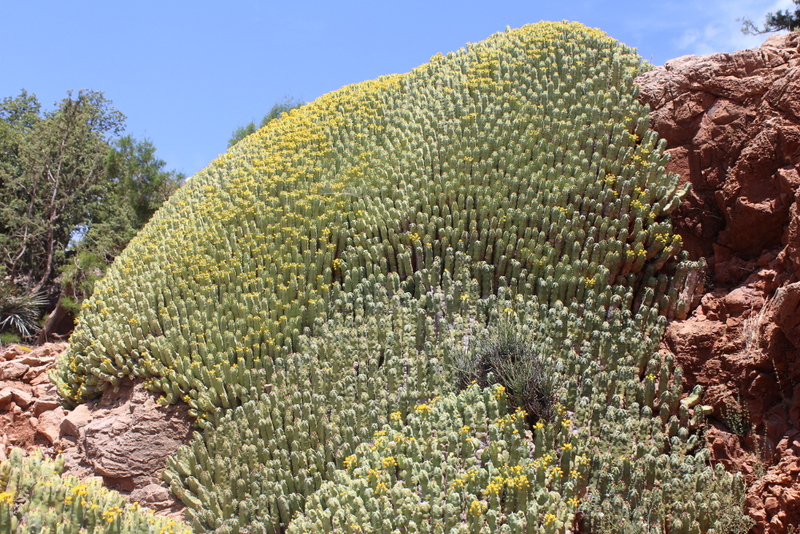 This study presents an updated list of the endemic species in the Moroccan flora following the classification of APG III, including comments on their geographical distribution and ecoregions. The endemic flora contains 879 species and subspecies in 55 families and 287 genera. Three new combinations are proposed. 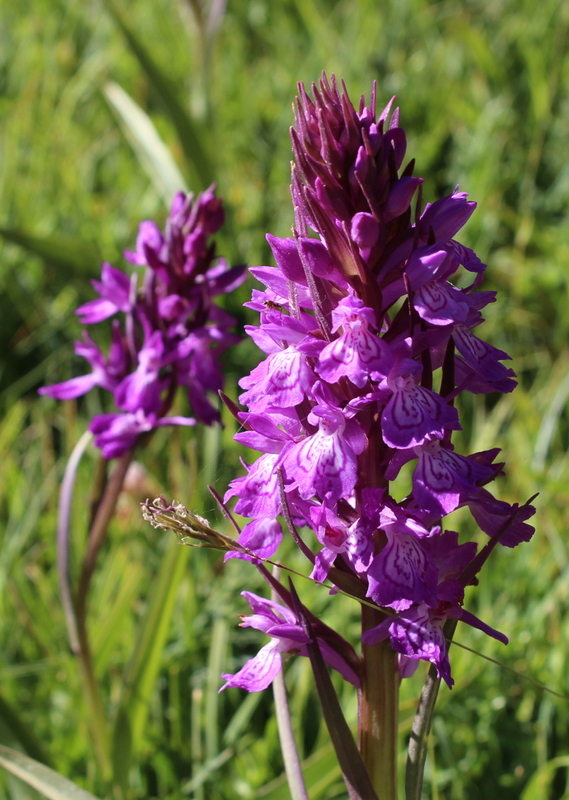 The High Atlas, Middle Atlas and the Rif mountains are the three richest floristic regions for endemic species, but the endemics are not restricted to these floristic regions only. Conservation efforts are therefore necessary in both the Mediteranean and Saharan ecoregions to preserve the biodiversity and botanical richness of Morocco. In this updated checklist we propose a new combination (Verbascum demnatensis) and a new name (Verbascum hamidoui) in the genus Verbascum (Scrophulariaceae). Morocco constitutes an important centre of plant diversity and speciation in the Mediterranean Basin. However, numerous species are threatened by issues ranging from human activities to global climatic change. In this study, we present the conservation assessments and Red Listing of the endemic Moroccan monocotyledons according to International Union for Conservation of Nature (IUCN) criteria and categories. For each species, we include basic taxonomic information, local names and synonyms, uses, a distribution map, extent of occurrence, area of occupancy, population size and trend, a description of habitats and ecological requirements, and a discussion of the threats affecting the species and habitats. We assessed the threatened status of the endemic Moroccan monocotyledons at the species level (59 species) using the IUCN Red List criteria and categories (Version 3.1). This study shows the high extinction risk to the Moroccan monocotyledon flora, with 95% of threatened species (20% Critically Endangered, 50% Endangered, 25% Vulnerable) and only 5% not threatened (2% Near Threatened and 3% Least Concern). The flora is thus of conservation concern, which is poorly recognized, both nationally and internationally. The study presents the first part and so far the only national IUCN Red Data List for a large group of Moroccan plants, and thus provides an overview of the threatened Moroccan flora. This IUCN Red List is an important first step towards the recognition of the danger to Moroccan biodiversity hotspots, conservation of threatened species and the raising of public awareness at national and international levels. 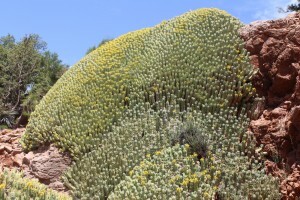 There is already a checklist of the Flora of Morocco produced in an earlier study http://www.nhbs.com/checklist_of_vascular_plants_of_n_morocco_with_tefno_153257.html so this is not a start from scratch!